I have a question about my specific setup and whether Lightroom sync and OneDrive can work together. My wife and I each have Windows laptops and OneDrive accounts. We use shared folders on OneDrive to share files between us. Nominally I have all the "master" photographs (350GB, 90,000 photographs, adding 4,000 photographs/month, in a single LR catalog of 630MB ) and my wife has all the "master" music but it's a moot point really as we both have full access to the folders we share with one another. In effect we have one large cloud storage area we share. 4) When my wife is next online the change is then sync'd to her local OneDrive folder. And of course vice versa. There may be periods while we're not online but each may be making changes to our locally held photographs. We are able to agree that we won't both be working on the same photographs but there will be changes coming from both sides, e.g. I may work on the "2015 pictures" and my wife may work on the "2016 pictures". 3) my wife's local storage. I have Lightroom Classic CC on my laptop, but we have not yet installed LR Classic CC on my wife's laptop. 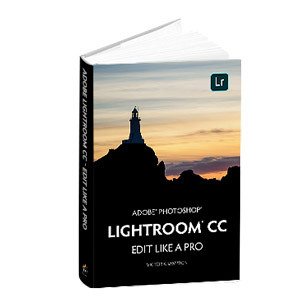 I have not used Lightroom CC yet but am wondering whether that might be the solution to our problem: how can we use Lightroom in a multi-user scenario, with each of us having full access to all photographs and able to make changes which are sync'd to the other's system? How does Lightroom CC fit with OneDrive? We're reliant on the OneDrive shared folders feature as explained above. Clearly the catalog (630MB) is too big to bounce around every time one of us makes a change! Many thanks for any insights and advice! Lr Classic CC will not handle what you desire. Lr CC will handle it, but you do not need to use your OneDrive to store the images. You can if you want, but it is not required or really very efficient. Assuming I understand Lr CC options correctly; Lr CC can work completely online (downloads images on demand), local cache (maintains a local smart-preview)), or local originals (maintains a local full copy of the original). You pick/configure how Lr CC works; based on your statements, I would assume you would want the last choice. The only item I do not know, is you and your wife edit the same image while offline, who wins? I think you should be able to do what you want using just Lightroom CC and not worry about OneDrive for syncing. I use CC on a Windows 10 laptop, a MacBook Pro and an Android tablet and everything stays in sync. I'm using a single Adobe account, so am not sure about the implications of sharing across accounts - or would it be a problem for you and your wife to use the same account?